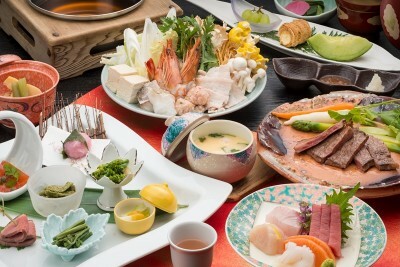 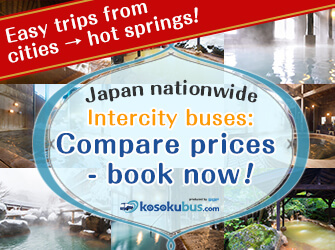 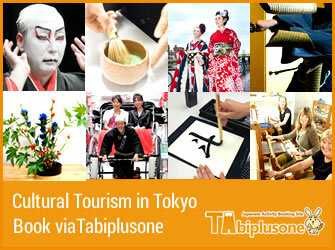 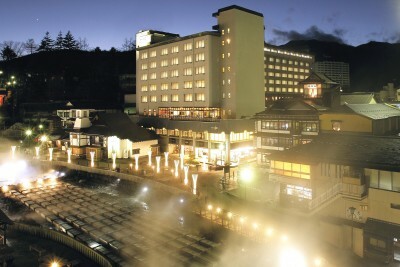 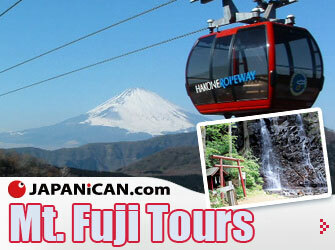 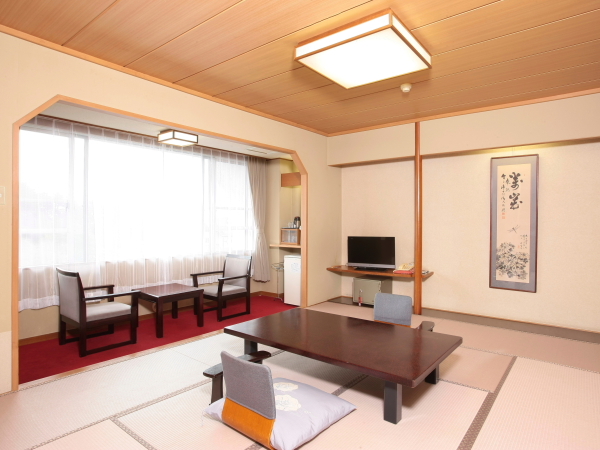 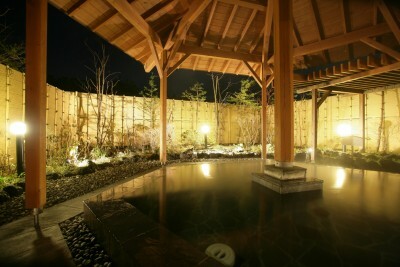 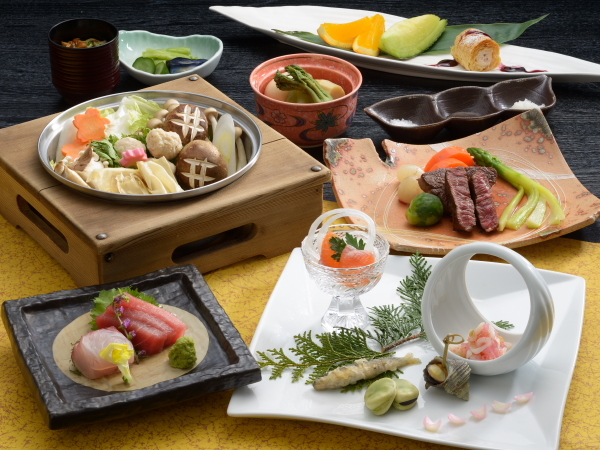 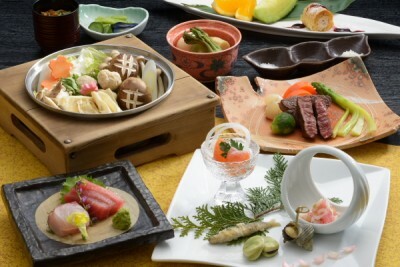 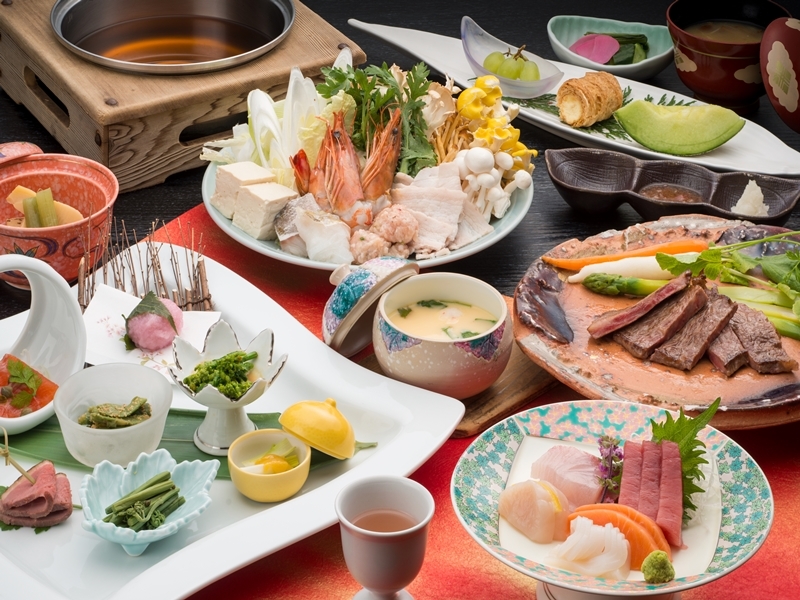 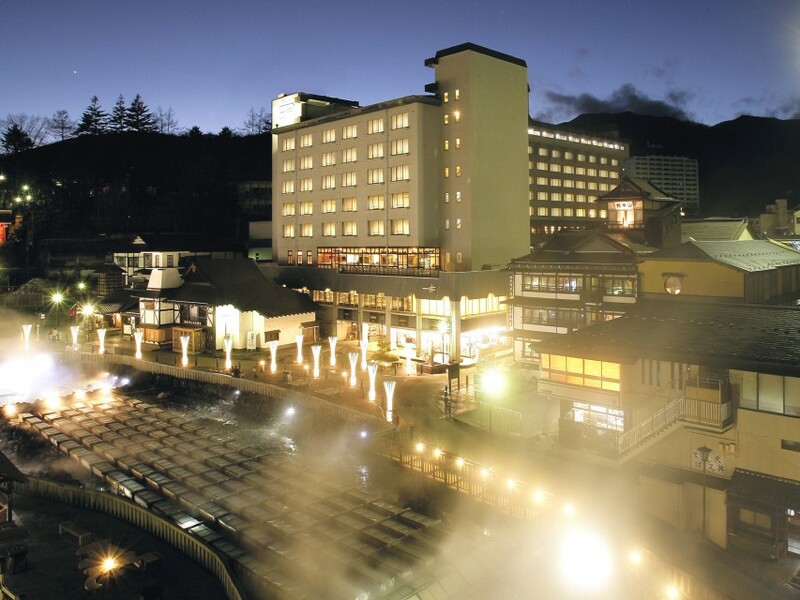 Book Hotel Ichii in Kusatsu Onsen— Enjoy baths from two pure Kusatsu hot spring lines. 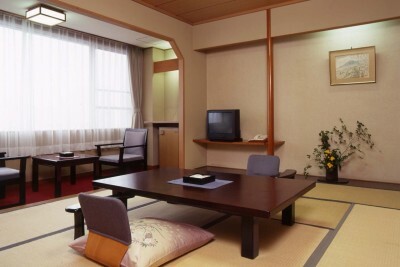 150 mins by JR Limited Express from Ueno Sta., Tokyo. 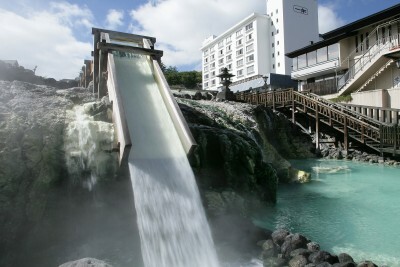 Two spring sources out of the total six Kusatsu springs. 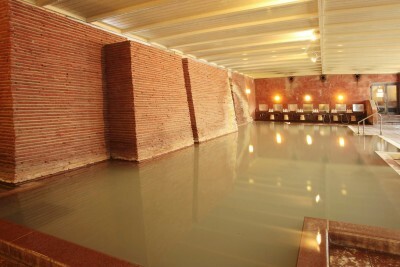 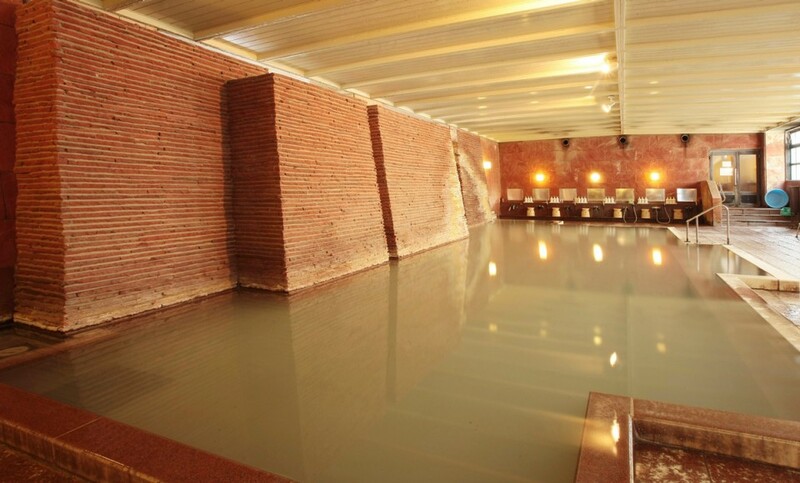 These acidic baths have been known as popular baths from days of old, and display incredible potency in hot spring therapy effects. 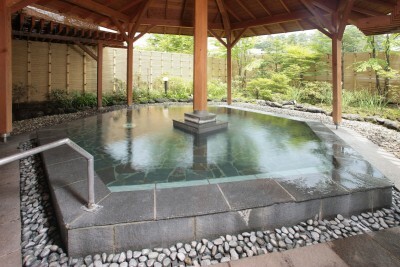 The water is good for neuralgia, fatigue, skin problems, etc. 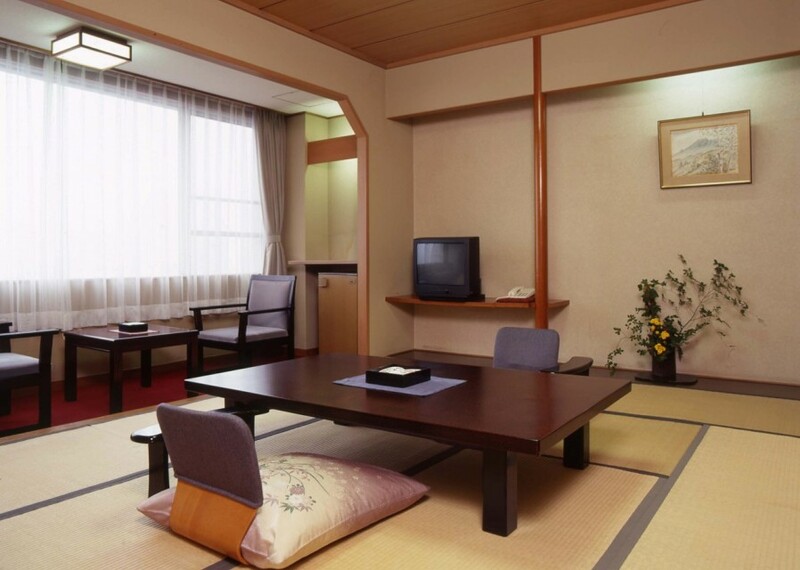 Ryokan with a 300 year history. 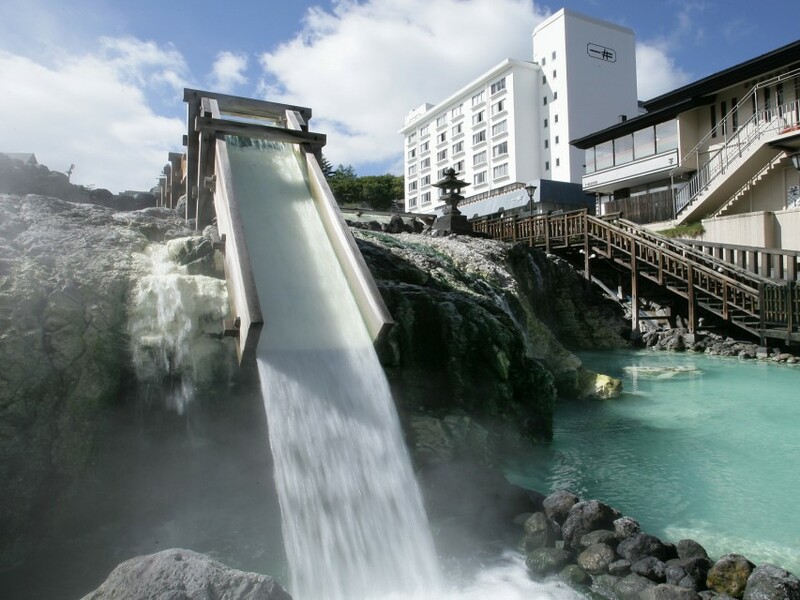 Enjoy a close up view of a yubatake (hot water field), the symbol of the Kusatsu hot spring.